Obituary for John P. McGraw | Devlin-Rosmos-Kepp F.H. & C. S.
John P. McGraw, 76, husband of Geraldine E. (Campbell) McGraw, of Phoenixville, PA died on Tuesday, September 4, 2018 at home after a lengthy illness surrounded by his family and cherished dog buster. Born on August 24, 1942 in Phoenixville, PA, he was the son of the late John F. and Mary (Ball) McGraw. John graduated from Phoenixville High School in 1960. 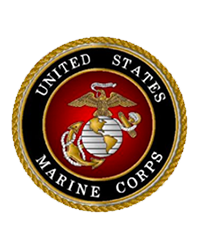 He was a US Marine Corps Reserve and then worked for Synthane Taylor in Oaks, PA and Montgomery County Geriatric Center and Rehabilitation. John coached little league of PECO Field, coached and played softball, coached girls fast pitch team in Phoenixville, and was an avid Philadelphia sports fan. He was a member of Frienship Fire Company, Slovak Club, Royersford VFW, Pike Sportsman Association, Oley, and Relief Association. Benjamin, Sarahrose, Harrison, Jackson, Amanda, and Thomas Jr. Relatives and friends are invited to attend his Funeral Mass in St. Mary of the Assumption Catholic Church, 212 Dayton Street, Phoenixville, PA on Friday, September 7, 2018 at 10:00 am. Friends may call at the church on Friday from 8:45 to 9:45. Thank you to Holisticare Hospice for your compassionate care in helping our family during this journey.